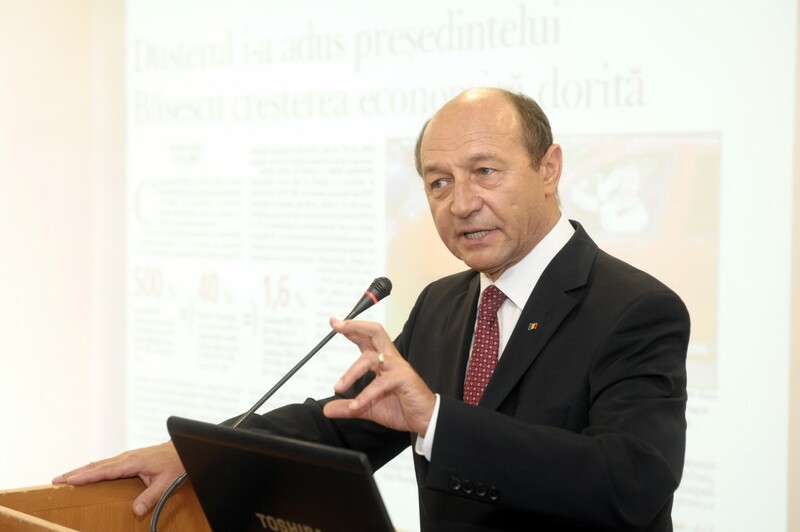 The Romanian President Traian Basescu has publicized the offer made to the management of the Democratic Alliance of Hungarians in Romania (UDMR) about the territorial reorganization, to form eight big regions plus the two current counties, Harghita and Covasna. The UDMR has threatened to leave the governing coalition in Romania if the country goes ahead with its current administrative reorganization plan, from the existing counties into regions, without taking into account the ethnic minority’s requests. “If you don't want to organize the territory in large counties, the offer is that the two counties, Harghita and Covasna, to remain as they are. This is version 8 plus 2 and it is the maximum you can get”, said Traian Basescu. The President excluded the possibility that the other three important counties for UDMR, Salaj, Bihor and Satu Mare, to be included in one region, as requested by the Union. If the UDMR will not accept this "maximum' offer, President Traian Basescu said that the reform will be made only administrative. Romania’s reorganization from 41 counties to 8 regions meets the European parameters and also covers the requirements of EU funds absorption at a much higher level, said Ioan Oltean of the Democratic Liberal Party. Romanian President Traian Basescu recently said that Romania can be reorganized until June, 2012.